Traveling through Peru I didn’t think much about vegetarian peruvian food options. I saw plenty of it but didn’t really think much about it until Simon and Erin posted that they weren’t able to try much traditional peruvian food because it wasn’t vegetarian. At the time I was writing about awesome peruvian fish soup, traditional peruvian ceviche and if Peruvian fast food chain Bembos was better than McDonalds. I wish I had better documented eating in Peru, I took the diversity and culture of peruvian food for granted. It’s been a couple years since I was last in South America but I get a lot of questions about vegetarian food in Peru and I wanted to created a resource for all my vegetarian friends. It is possible. Remember that meat is often a luxury so many communities survive on vegetables and splurge occasionally on meat. 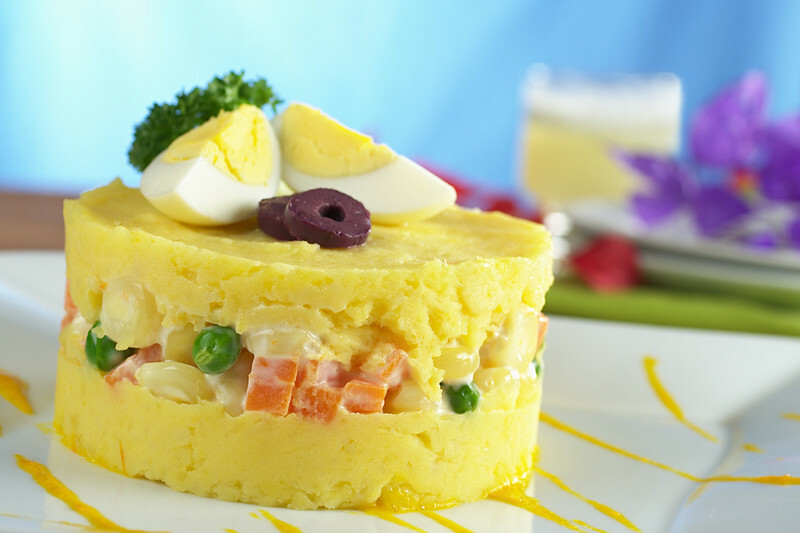 Most commonly found in the coastal region of the country, causa is made with layers of Peruvian yellow potatoes alternated with different fillings, which in the vegetarian options can include salad vegetables, cheese and yams among others. One of my favourites, rocoto relleno originated in Spain but it’s now typical in Arequipa. This dish has many vegetarian varieties and those with stuffings made with meat, these peppers are usually stuffed with boiled eggs and cheese, while red onions and garlic are also common ingredients in the vegetarian versions. The lucuma is a fruit that generally grows in the higher altitude areas of Peru, and while the dry flesh isn’t great by itself, when it is used for tarts, ice cream and smoothies it really does make for tasty local treats. In some cases lucuma is raw and vegan like the dish above. There are more than 4,000 types of potatoes in Peru, which means many potato dishes for both vegetarians and meat eaters. 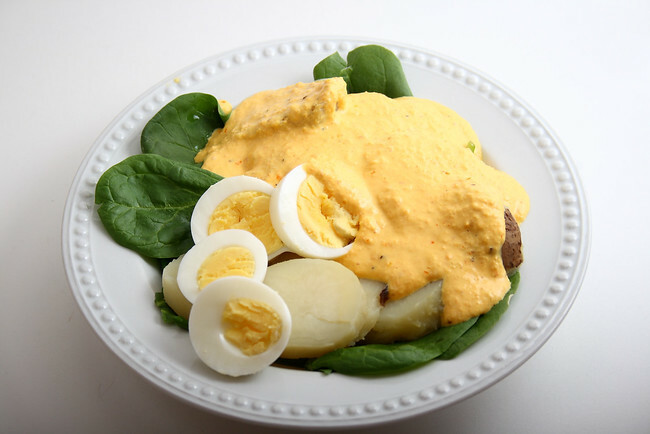 Originating in the area of Huancayo, this dish is usually served as a starter, and is made of boiled yellow potatoes that are served on lettuce leaves with olives, corn and boiled eggs, which is then smothered in a creamy and spicy cheese sauce. This potato salad is a very simple dish that is made by mashing potatoes, rocoto peppers and tomatoes together, and is said to have been invented by the clerks and scribes of Arequipa who crushed these together as they enjoyed a post work drink. 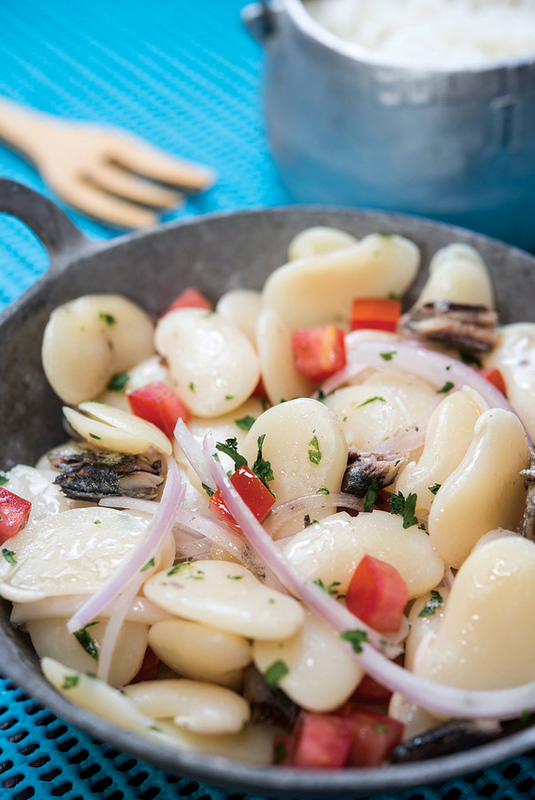 You can’t escape potatoes as it’s a key ingredient in many Peruvian food. This potato based dish is commonly served as a starter, and can be found throughout the country. The boiled potatoes are smothered in a peanut sauce, and then often served with a salad, and fried cheese. Lima butter bean salad is made with lima beans, onions and tomatoes, and is served with a fresh citrus dressing made of olive oil, vinegar and lime for a lovely summery taste. When ordering just make sure no fish are in the dish as it’s sometimes an option. Originating in the city of Arequipa in the south of the country, this salad makes good use of the choclo corn that is so popular in the region, and combines this with tomatoes, olives and salad leaves, while there are versions also served with rocoto chili peppers and chunks of fresh salty cheese. 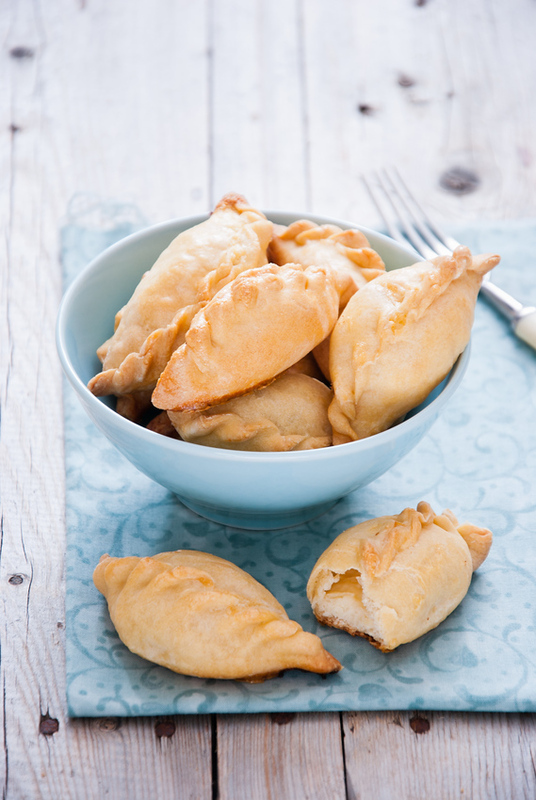 Found across the country, empanadas have several vegetarian versions to counterweight those that include meat, with the vegetarian fillings for these tasty pastry pockets usually including eggs, cheese and plantains. This is a dish that is often found in the jungle areas of the country, and was named in honor of John the Baptist, and is made by combining eggs, olives and rice, which are wrapped with spices before being cooked slowly. There are many versions that include meat, so check before digging in. Locro is a traditional stew that is found throughout the Andean regions of South America, and this version replaces meat with butternut squash, which is stewed with corn, potatoes, onion and garlic, which is then finished with herbs, red pepper sauce and cream. Just one rice dish! This rice based dish is often a side to meat dishes, but can also be eaten by itself. The rice is cooked with olives, onion and evaporated milk, with plenty of garlic, salt and pepper to add flavor. 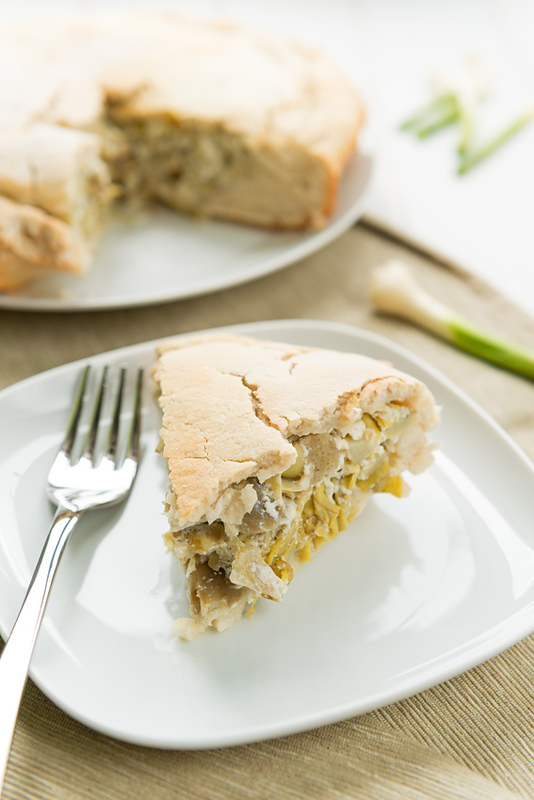 A tasty artichoke based dish has a similar texture to a quiche without the crust, and is made with eggs, breadcrumbs and plenty of cheese, before being baked until it sets, and then served in slices. As with many other dishes, there are versions that include meat as well. This popular breakfast foods is one of the best ways to start the day in Peru, and is made simply with fried eggs on top of a slice of fried bread, which is then finished with onions and chili pepper used to garnish. A cilantro flavored soup has plenty of vegetables to provide a sustaining meal, including potatoes, fresh beans and onion, along with cheese and eggs, and is usually served as an appetizer in most places. 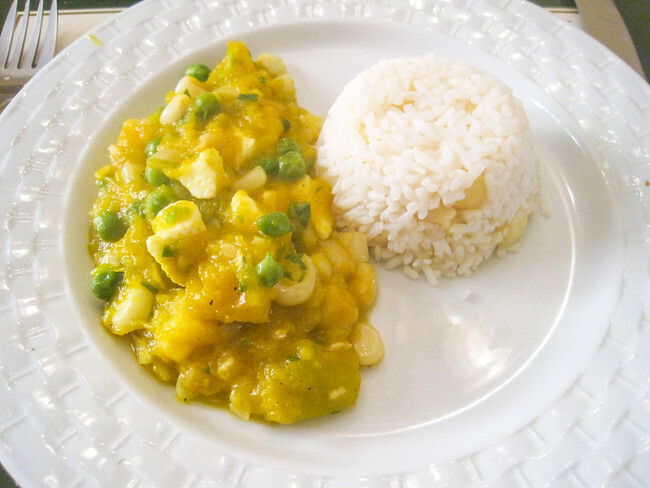 This stew is one that is commonly served during festivals in Peru, and while most are made with beef and pork, the vegetarian version is made with corn, peas, carrots and potatoes, along with more exotic ingredients such as peaches which add to the flavor. Peruvian food has seen many influences over the years, and this soup includes the Chinese cabbage pak choi, along with eggs, potatoes and garlic, which is then served with cubes of cheese to finish the presentation. This vegetable soup is one of the common vegetarian dishes available across the country, and can be made with a variety of carrots, potatoes, onions, broccoli, cabbage and celery, although watch out for those that have chicken or dried meat added at the end of the cooking process. This soup is one that makes good use of the legume that grows in the Andes region of the country, with the tarwi containing high levels of protein, meaning that this hearty and creamy soup which is also very sustaining if you are traveling in the region. Most often served in the Amazon region of the country, this stew is prepared with local varieties of beans and corn, which is then flavored with coriander to finish the dish. 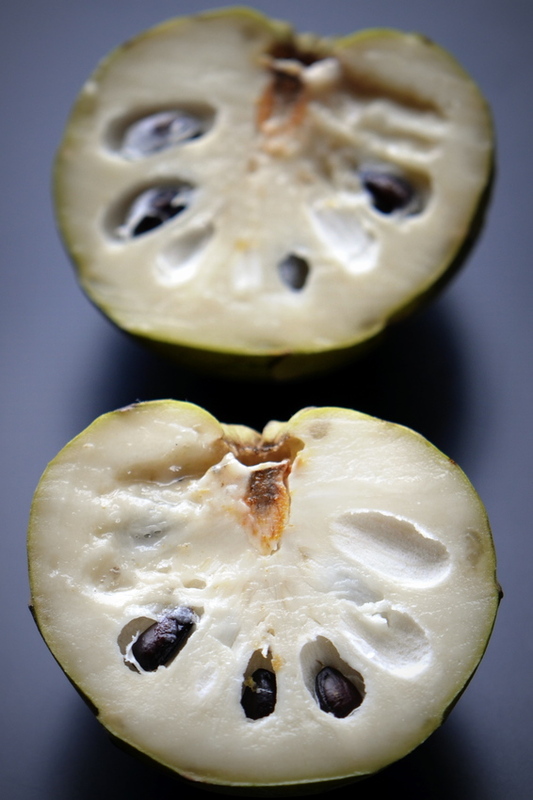 Often known by its nickname, the custard apple, this fruit can be bought at markets throughout the country, and once cut open and de-seeded, it makes for a wonderful snack, with plenty of vitamins and minerals too. This fruit is most commonly found in the Amazon region of the country, where it is harvested from bushes that grow along the river, while in the rest of Peru this is often used to make smoothies and desserts, although it is increasingly being dried and exported due to its high vitamin C content. Have I missed any? Let me know your favourite peruvian food in the comments below! Custard apples are so tasty! It’s Vegetarian Week here in the UK and I might just have to check out a Peruvian restaurant, your photos just make everything look delectable! Is it just me, or do empanadas look like traditional cornish pasties? Ha! I’ve heard so many great things about Peruvian food and how it’s so different in terms of taste and texture. Those really look so interesting I’d love to try. Hopefully Peruvian food starts spreading so we can get them at the local shop. You can prepare amazing dishes with these products. 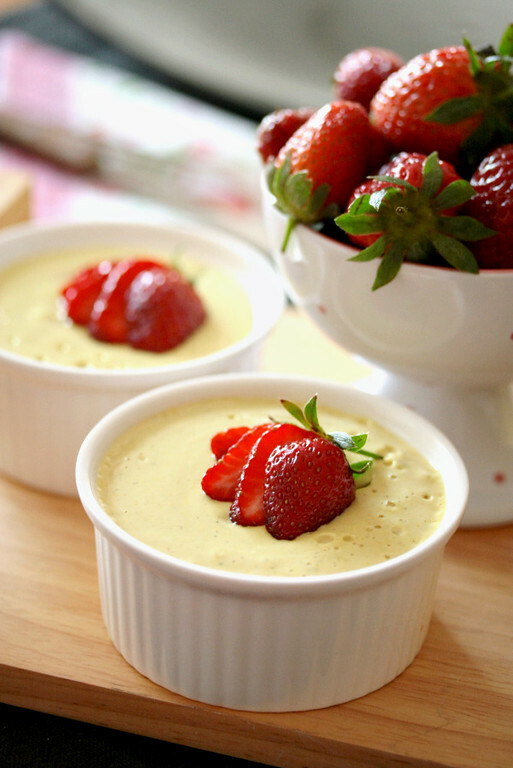 Lucuma looks delicious! I will be in Peru in about a month … I’m so excited to eat all the food there! Palta rellena is another typical dish that can easily be ordered vegetarian. A half of an avocado filled with a salad like mix of peas, diced carrots and more. Great on hot days. Another choice would be humitas, small sweet tamales made of corn. There are really lots of great options ! simply mouth- watering! would certainly like to try the puchero as its version here in the Philippines is made from beef and pork and stuffed with veggies and ginger too. more power always. Excellent compilation…papa a la huancaina is my favorite, I also LOVE ensalada de caigua and tallarines verdes. Peru is a treasure trove of amazing food! Nice post. Its very difficult for a vegetarian traveller to survive in a country where search out of vegetarian food is a great task. But you did a great think for them. Excellent food. You are a lifesaver! A friend’s parents are taking me out to a Peruvian restaurant and I had no idea what I could order. Now I’ve got several things written in a notebook. Thanks! Very cool, so glad I could help! Nice post. But There is a restaurant named Hollywood Florida restaurants is one of the best. Go to peruvian food and visit the site. I think it will be better. You forgot tallarines verdes. 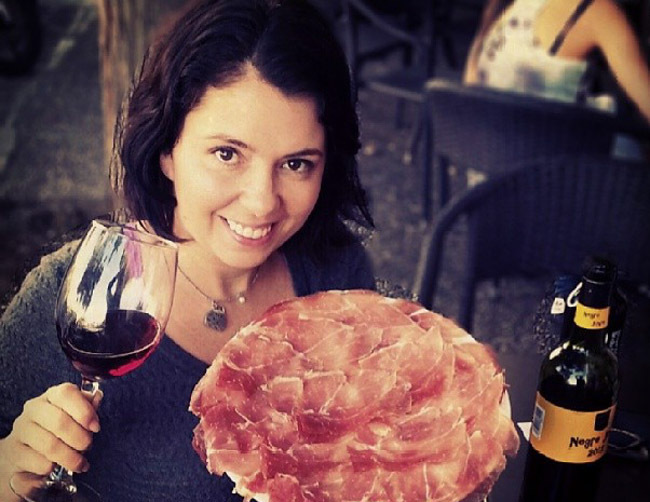 It comes with a steak or chicken, but now most places sell the dish without. It’s so good! You’re right! Such a great noodle dish! Granadillas are also great! Have you tasted them? They’re like sweety passion fruits grew in the Andes mountain. Yes! They are also known as passion fruit. It was so tough to create a post that didn’t just have all the amazing fruit in Peru. Have a look at my vegetarian guide to Peru and let me know what you think! I should have featured this article ! Great article! Would you know of any vegan Peruvian food? Don’t forget quinoa soup, which comes in veg and non veg versions. 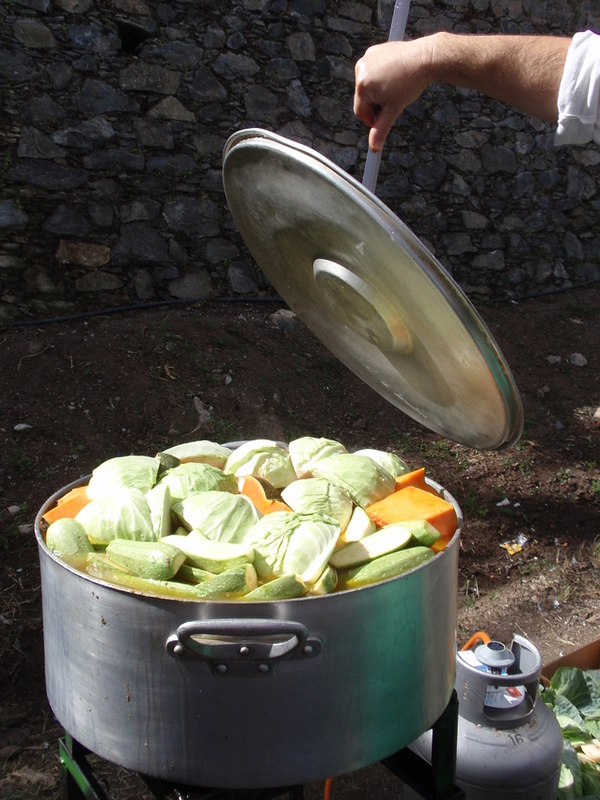 Very nutritious, perfect light dish for when altitude suppressed your appetite…. How could I forget the quinoa!! !